Several Celebrities from Bollywood were photographed attending the special screening of the film Lipstick Under My Burkha in Mumbai on July 18, 2017. 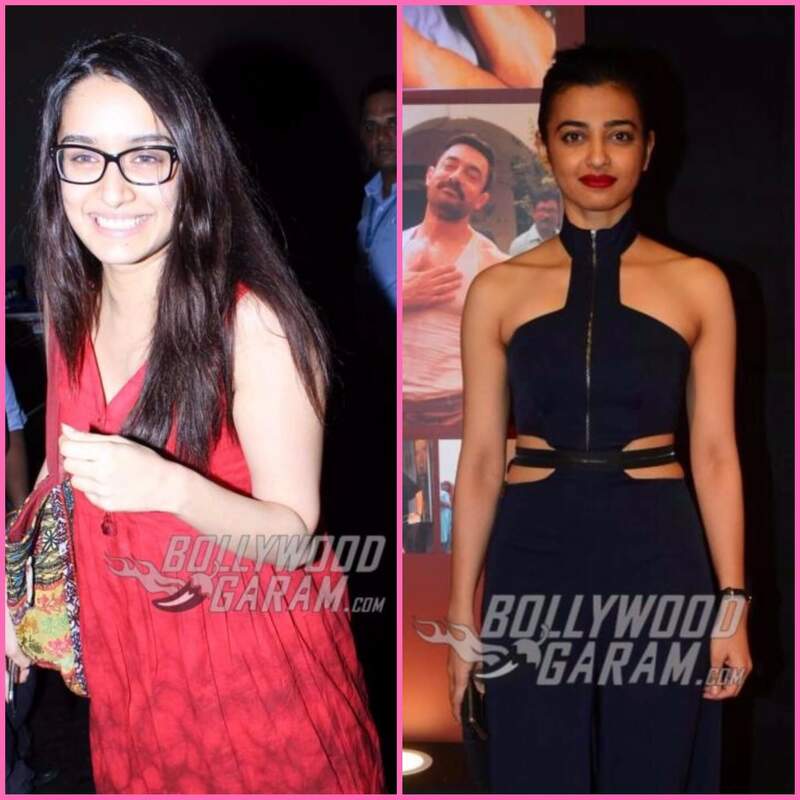 And this time Shraddha Kapoor and Radhika Apte not only turned up at the screening, but even interacted with the media, giving them a byte on how the movie is a big step in bringing about a change in the society. The controversial film, before getting a release date, had to undergo various obstacles when the CBFC had refused to certify the film. The trailer of the film became popular among the audience and created a buzz on the social media for its bold subject. The story of Lipstick Under My Burkha is about the struggle of four women and about their different struggles with life. The film stars Konkana Sen Sharma, Ratna Pathak Shah, Ahana Kumra, Plabita Borthakur, Sushant Singh, Vikrant Massey and Shashank Arora. Previous articleVideo - Ayushmann Khurrana launches Bareilly Ki Barfi trailer! Next articleVideo Interview- Bhumi Pednekar on Toilet - Ek Prem Katha, love for jewelry & a lot more!